Signed l.r., brown oil "A STREETON". Not dated. Mr. Arthur Streeton. '., Age , 'Art Notes. Exhibition of paintings, Melbourne, 27 Apr 1926. Review of the artist's 1926 exhibition held at the Fine Art Society Gallery, Melbourne. Argus , 'Artists' society. 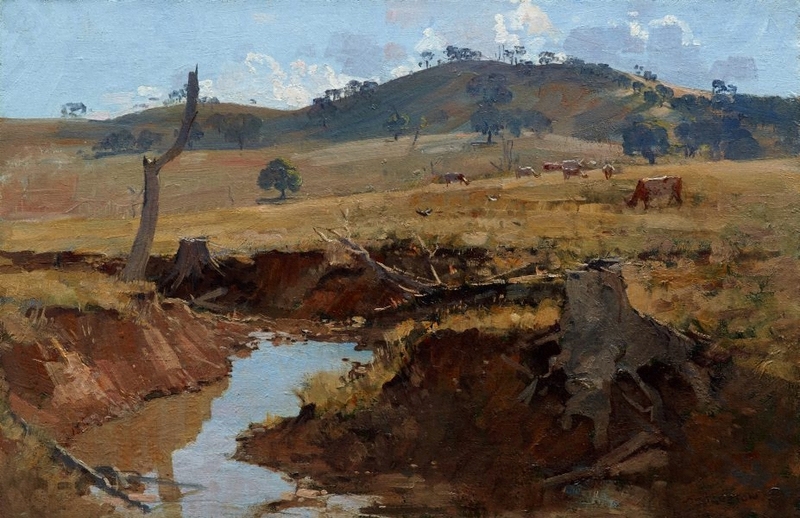 Mr. Streeton's Paintings. ', Melbourne, 27 Apr 1926. Review of the artist's 1926 exhibition held at the Fine Art Society Gallery, Melbourne.